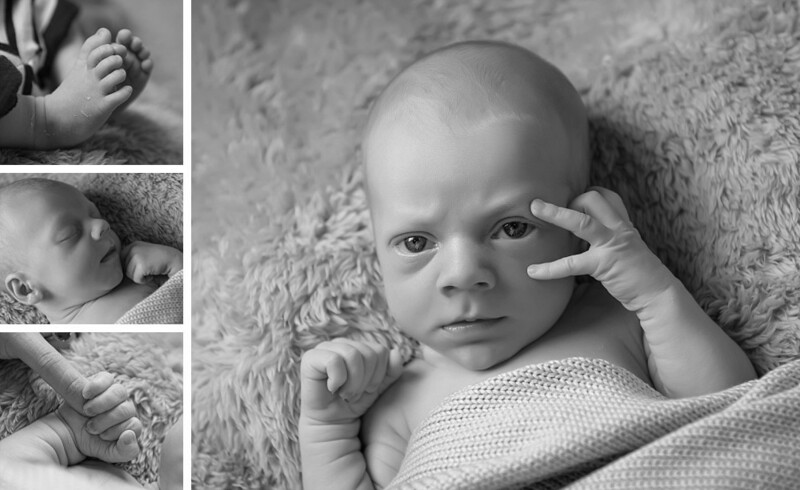 Baby Thomas was just over 2 weeks old when he came in to our Coogee studio with his parents for newborn baby photography. We had to wait a bit longer than usual for him to come in but it turned out to be the perfect time for this little boy! Usually we try to get Sydney newborns to the studio within the first 10 days. When you have newborn photography it’s best when the baby is still in that sleepy womb-like state, so peaceful and cute. Once we pass that time, the baby becomes less relaxed, and harder to settle in the studio. Luckily Thomas had none of those problems! When he came into the studio he was already very alert of his surroundings. His big blue eyes were stunning and just pierce your soul. He had a habit of staring deeply into whomever was holding him. The way he would just lie on dad’s arms all relaxed was so sweet to see. The way he snuggled into mummy you could see he was feeling so safe and secure. 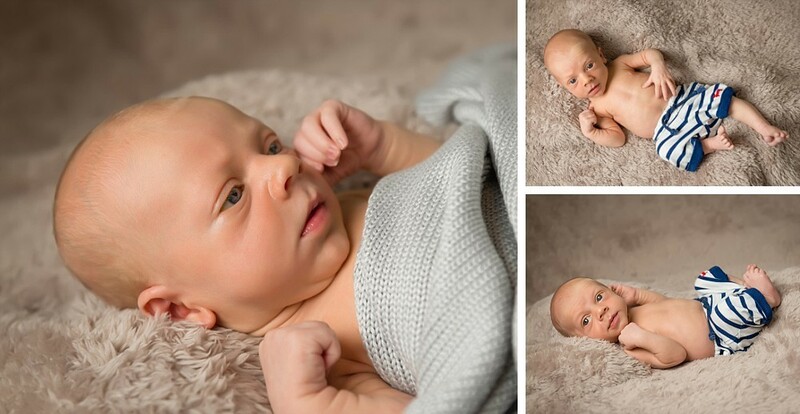 We got some stunning photographs of him and then it was time to wrap him up! He was a very strong boy, stretching his arms and legs making it initially a bit hard to wrap him. But soon he became comfortable and we were able to eventually put him to sleep. We could see him having nice dreams and smiling as mummy and daddy cuddled him. At their Design Consultation, they loved the photographs so much it was a bit hard to choose! Dad was insistent that they would have a piece of artwork on the wall they could enjoy every day. We put together a fantastic piece from our Diamond Series The Bellevue. It brilliantly showcased little Thomas and the story of his family in one piece. We were really excited when it arrived, everything being so perfect. Valent Lau Photography provides Newborn Baby Photography and is based in South Coogee in Sydney’s Eastern Suburbs. Contact us now and take your first step towards creating some beautiful heirlooms. 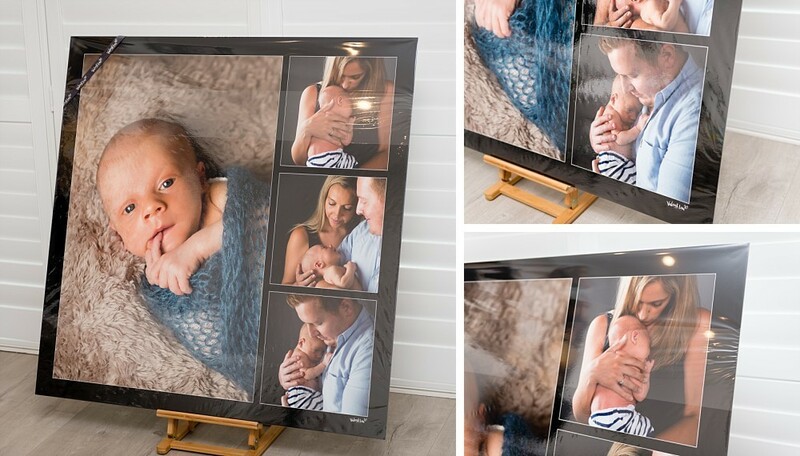 Get 5 Pro Tips to Have the Best Newborn and Pregnancy Photos Ever! 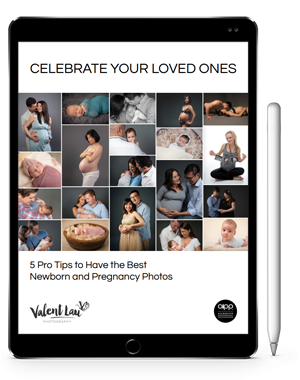 Creating gorgeous photographs of your pregnancy and new child is a must… Get this free booklet with tips on how to truly shine and get amazing photos, guaranteed! What's the real purpose of Maternity Photography? Why are our Crystal Sets so amazing? Let’s start your custom experience with a complimentary phone or in person consultation to find out what you would love to celebrate. Want better pictures with your loved ones? Sign up for my exclusive weekly emails where I share my best advice on how to take better phone photos and connect with your family.